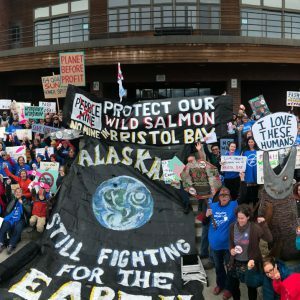 Another company backs out of the Pebble mine: How many strikes before Pebble's out? Yet another company backed out of the proposed Pebble mine project on May 25. First Quantum Minerals and Northern Dynasty Minerals, the Canadian company behind Pebble, could not agree on a proposed partnership deal revealed in December 2017. This is not the first time major mining companies have walked away from Pebble. Rio Tinto abandoned the project in 2014 and Anglo American withdrew in 2013. Teck Cominco sold in 2001, without retaining any interest, and Mitsubishi got out in 2011. Notice a pattern? This time, First Quantum had even more information—a permit application that proves Pebble cannot protect fish and a bevy of Pebble promises. But a sales job can never make a bad project good. These huge mining companies know that the Pebble project is a bad deal and a bad investment. There’s a reason a New York investment firm called Pebble “worthless”. 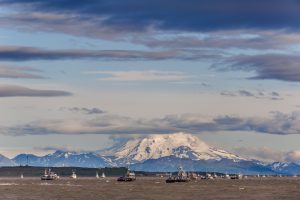 With salmon returning and the fishing season underway, it’s always a good day in Bristol Bay, but the news of First Quantum’s departure makes it even better. People in the region have been fighting the mine for decades. Many of Alaska’s decision makers haven’t taken a clear stand on the Pebble mine, but Gov. Bill Walker told Homer residents that he’s “fish first” when answering questions during a meeting last week. Three companies have backed out of the Pebble project in the last five years, and several others sold all interests, every penny, before that. The proposed Pebble mine would cause catastrophic harm to Alaska salmon and communities. It would turn the last salmon stronghold—food for locals and for people around the world—into a mining zone. Northern Dynasty Minerals needs to stop throwing pitches at investors and listen to Alaskans. Unfortunately, deals and greed get in the way of doing the right thing. Earlier this week, the U.S. Army Corps of Engineers posted the “project updates” Pebble submitted on May 11, 2018. Pebble now wants a bigger mine. It wants to change where it puts infrastructure. It wants to change plans without providing maps, answering questions, or even including a financial feasibility study. Perhaps First Quantum and four other major mining players pulling out of the project is feasibility study enough. Pebble is the wrong project in the wrong place, and it would devastate Alaska fish and people. 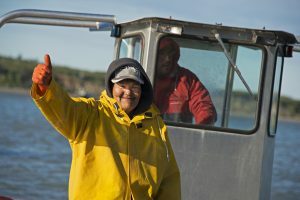 Alaska’s leaders and federal agencies need to hold Pebble to account and protect the salmon that have fed people for thousands of years, and can do so for thousands of years more.